They say the heart of a home is the kitchen. It’s the place where families spend time together preparing and sharing meals. In terms of construction, kitchens are one of the most important and expensive areas of the house. Did you know that even a minor remodeling of the kitchen may give you up to an 80% return on investment? Kitchen trends keep changing, just as our tastes and preferences for food. Here are some of the latest trends in kitchen remodeling you might want to consider when building new or renovating an existing kitchen. Adding a backsplash helps cover the gaps between the countertop and the wall. It also helps protect the wall from water. If done well, it can add a finished and stylish look to your new kitchen. Kitchen backsplashes trends keep changing. Natural stone is making a comeback, and you can choose from a variety of options. The best part about these is that they are durable, affordable and can go with any style. Another option is pebble tiles, to give your kitchen a three dimensional look, and is the perfect combination of rustic and modern. 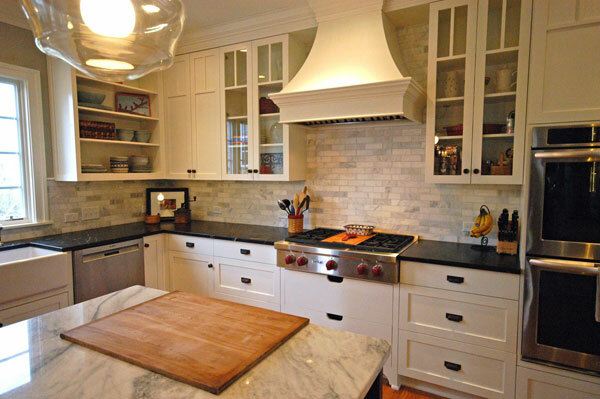 Chalkboard backsplashes provide a casual look. Lastly, glass tile backsplashes can make the kitchen look bigger and brighter. Designers are also using a combination of colors and materials to create unique patterns filling the area from the counter top to the bottom of the cabinets. Industrial style kitchen islands are both practical and popular. Since kitchen islands are placed in the center of the kitchen, they deserve the utmost attention. The latest trends are all about mobile kitchen islands that can be easily moved in order to give extra space whenever needed. The island can include sinks, stove top or just open prep space. The counter top is still a major focus of the kitchen design style and granite never seem to go out of fashion. Not only is granite low maintenance, but it is durable as well. 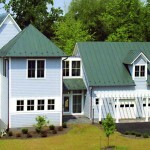 The latest trends include a variety of detailed edging styles, such as bevels and bullnose, or more complex edges such as coves, dupont, and waterfall patterns. Keep an eye out for quartz being used as a counter top material option in a variety of neutral colors. Stainless steel appliances are still as popular today as they were 10 years ago, and they are not going away. The only downside of stainless is how easily finger print marks show up. Stainless steel appliances continue to be popular because they are tough and durable. They look good in traditional or contemporary style kitchens. They also look good with any wood type or color used in the kitchen. Most manufacturers make stainless finish appliances, so it is easier to match than colored appliances. 2016 will be the year of functionality and minimalism. In order to keep the kitchen simple, stylish and uncluttered, designers and contractors will be using cabinetry with rollout drawers, and multi-tiered drawers. The new designs incorporate the appliances in such a way that it will look as if they are an extension of the cabinets. Other trends include creating hydraulic cabinet door openings that fold and lift out of place with a push button. These are just a few of the ideas for your kitchen planning or remodeling. Weston Construction can give you an estimate on your next kitchen renovation. Give us a call.